Unfortunately Lebanon’s transport culture has become exclusively American, which favors automobile transportation and disregards the establishment of any public transport system. This results in unsustainable economic, social, and environmental burdens in addition to the cost of health problems, accidents and excessive construction and maintenance on land resources that are rare and limited. Most importantly labor and productivity is diminished due to traffic jams and higher costs of living (Newman and Kenworthy, 1999; Kay, 1997). Studies have shown, even in the United States, that building more highways resulted in more congestion due to a number of related causes that, according to Newman and Kenworthy (1999) amongst others, include more sprawl. So if you campaign for bigger roads please read about the unsuccessful experiences of the United States, Turkey, and England amongst others in this regard. Light Railway is clearly the answer and has achieved international consensus (Hass-Klau, 2000; Kenworthy and Laube 2001). Several Mediterranean cities have proposed or established rail transport systems, including Casablanca, Rabat, and most notably, Cairo (Lowe, 1993). The advantages of rail transit systems surpass any other form of mass ground transport in dependability, speed, comfort and safety. Such a system will reduce land consumption, congestion, as well as air and noise pollution (Lowe, 1993; Newman and Kenworthy, 1999). Electric train systems greatly reduce dependence on oil but with our continuous power outages in Lebanon, I can already see your smirks. Even though the blog invites its readers to dream of other possibilities, most of which are extreme, this blog entry will not propose a light railway system as the solution to our problems due to limited government funding. Instead, this entry puts forth a simpler proposal in the hope that I will reach my destination one day in Beirut and during this lifetime without driving like a maniac, cursing my way through and paying a ridiculous amount of money for gas and parking fees. The future is grim if we do not stop to think . It is known that during the war there was no other forms of public transportation other than the shared and private taxis, both of which were automobiles seating four passengers. In 1994, buses, vans and similar vehicles, both public and private, transported a maximum of 1.3 percent of all person trips in the Beirut metropolitan area. This implies that looking at Beirut's urban fabric in a map is deceiving because its streets are not empty instead they are always so full and congested producing tons of decibels of sounds and pollutants and hardly any pedestrian pathways. The second map highlights this and depicts the reality of the city's street-scape. A large congested city with hardly any breathing space. REDESIGNING LAND RECLAIMED FROM CARS! Improving the bus services is the quickest and most effective way to increase public transport capacity in the short term. For environmental reasons these transport lines may later be replaced by other systems of transport. In order to improve the bus network the Ministry of Transport needs to concentrate its effort on constructing a bus system that is efficient and utilizes the existing infrastructure. The first step to do this is by preventing any cars to enter the city. This will provide the bus system with a free and large road infrastructure without any traffic jams! Large multilevel parking spaces are provided on all major entrances to the city from which several buses depart at regular intervals. All road networks will be used by buses only and the parking space on the sides of the roads will all be transformed into urban green spaces with cycling lanes! Today (2010) for every 2 people (including minors) we have a registered car. This means about 500 private passenger cars/1000 people! 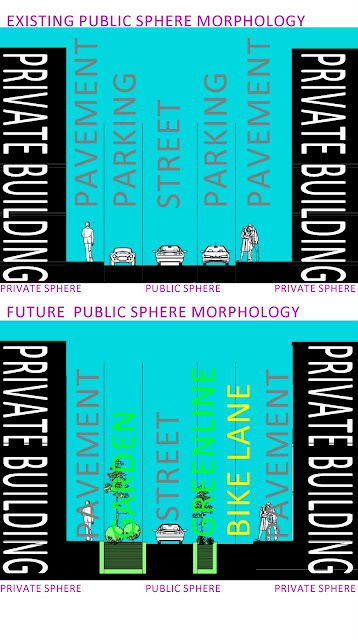 Soon we will have to destroy residences to make way for higher income groups cars or we can stop and redesign our failing life-style! If the possibility of Beirut without cars has not enticed you yet and you do not understand or see the spatial, social, and natural capital sacrificed to feed the car culture habit then let me include the following measurable losses for the government and individual. Official accidents registered by the Red Cross for 2010 are 10,965 (Kunhadi,2011). Kay(1997, 67) provides some parametric to convince us of the loss of urban space and our cities by comparing the land needs for automobiles with other modes of transportation and urban uses. 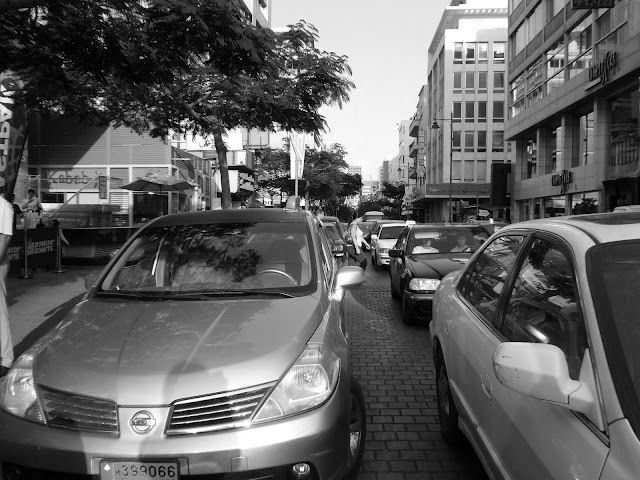 The numbers are shocking, a pedestrian uses 1.5 square meters standing and 3 square meters walking, a car requires on average 91 square meters standing still, taking into account all passageways necessary for access to parking spaces, and 914 square meters while moving at 48 kph. Iskandar (1994) and a World Bank Study (1996) states that the average Lebanese household spends 13.85 per cent of its income on cars. Darwish and Timberlake (1999) state that congestion on roads were estimated to cost Lebanon $2000 million per year in 1997 (approximately 15 percent of its GDP). El-Fadel and Hashisho (1999, 86) state that Health problems in Lebanon from high blood lead levels alone are estimated to cost the society $118 million annually. So the next time a government official tells you that they cannot invest in better infrastructure and transportation systems you may want to reconsider voting for someone that clueless about the cost of the status quo. 1- NEWMAN, P. and KENWORTHY, J. (1999), Sustainability and Cities: Overcoming Automobile Dependence (Washington, DC: Island Press). 2- KAY, J. H. (1997), Asphalt Nation: How the Automobile Took Over America, and How We Can Take It Back (New York, Crown Publishers). 3- HASS-KLAU, C. et al. (2000), Bus or Light Rail: Making the Right Choice: A Financial, Operational and Demand Comparison of Light Rail, Guided Buses, Busways and Bus Lanes (Bristol, UK: Environmental and Transport Planning). 4- KENWORTHY, J. and LAUBE, F. (2000), 'The Role of Light Rail in Urban Transport Systems: Winning Back Cities from the Automobile', presented to The Fifth Light Rail Conference, UITP, Melbourne Exhibition and Convention Centre, 8-11 October 2000. 5- LOWE, M.D. (1993), 'Rediscovering Rail' in L. R. Brown et al., State of the World 1993: A Worldwatch Institute Report on Progress Toward a Sustainable Society (New York: W.W. Norton), 120-38. 7- NAJIA, Y. (1995), 'The Future of Public Transportation in Lebanon: An Administrative Assessment in View of Current Practices', M.A. thesis, Beirut University College Business School. 8- BAAJ, M. (ed) (1999), Proceedings of the Workshop on Land Transport Policy for Lebanon [LTP], prepared for the Lebanon Ministry of Transport. 12- ISKANDAR, M. (1994), The Lebanese Economy 1993 (Beirut: M. I. Associates). 13- WORLD BANK (1996), Trends in Developing Economies 1996 (Washington, DC: World Bank). 14- DARWISH, F. and TIMBERLAKE, R. (1999), 'Road User Charging Study: Charging Scenarios on the Basis of Road Funding Requirements and Cost Allocation to Vehicles' in LTP, 58-71. 15- EL-FADEL, M. and HASHISHO, Z. (1999), 'Phase-Out of Leaded Gasoline in Lebanon: Cost and Health Benefit Analysis' in M. Baaj, LTP, 85-88. Thanks for commeting on my blog, and bringing me here :). You are spot on, it's time to start thinking other than the car! Although I think we still need better and bigger roads, but NOT ONLY roads. I didn't understand how closing the roads of the city to cars will work. You are not proposing that, are you? Else how people who have cars can get to their homes? You will still need quick roads to get to the car parks where people keep their cars. this is the beginning of a great idea. 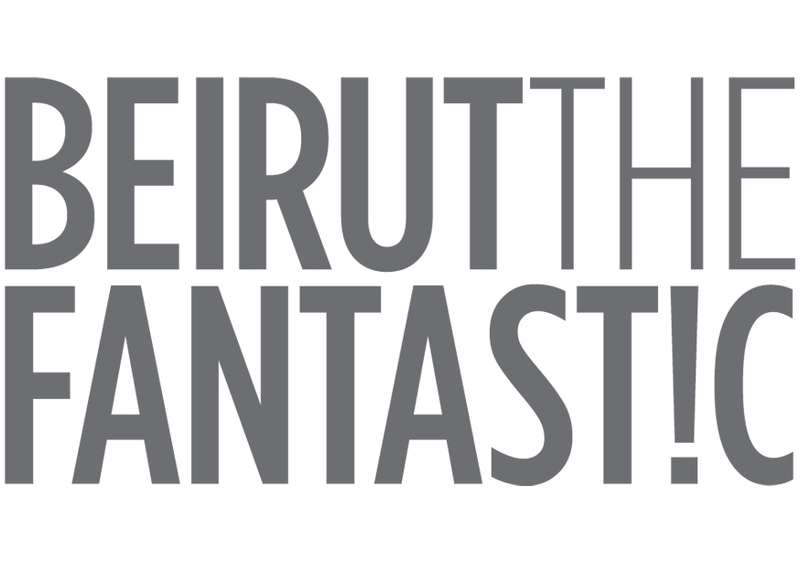 did you know that central Beirut is ±150% above the international climax of pollution level? we are killing ourselves slowly. 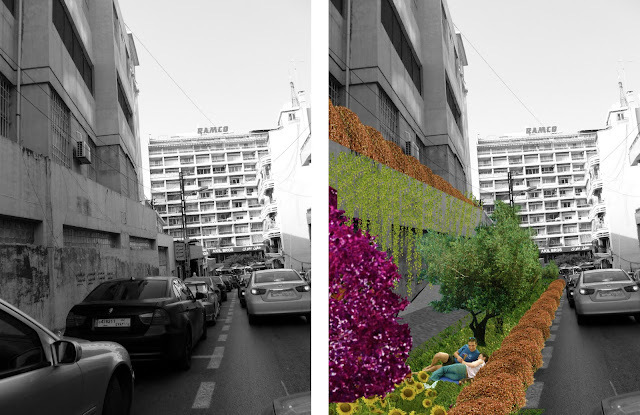 the idea of a car-less Beirut has been worked on & suggested to the Municipality for the Gemmayze area, but never executed. Can we find a way to encourage public transportation (by creating it)? Using the automobiles in the city is not purely "American"... it is world-wide! The USA is doing much to improve auto emissions, and many cities have mass transit systems (subways, rail, monorail, cable cars), as well as carpooling and HOV (high occupancy lanes). In answer to the question on the possibility of creating a metro network, I think it bottles down to one factor: cost. Buses are far cheaper than metros to implement and are far quicker meaning less lost opportunity cost. i love the idea. It's very modern and this is what beirut lacks, however implementing it would be very hard. Beirut is a concentrated city. It contains people from different levels. (NB: i am not being racist i am just showing how lebanese think) Taking a bus or a taxi each time we need to go somewhere would definitely be cheaper since petrol is very expensive. You can book a yearly card and recharge it. Now what would you do if u need to get to some location fast without stopping at every corner ? How would the city look with only buses and taxis ? We know that we have plenty of "badasss" (sry) in lebanon hence the reason why girls are afraid to get into any bus or taxi. It's not a safe city after all. Hello may I ask where did you acquire those maps of Beirut? I am an architecture student seeking a map of Beirut showing building footprints and roads etc and I can't seem to find any. I am stationed in New York. My email is mcordero91@gmail.com. thank you for any help! I'm a student as well wondering where you found your maps. Are they vector files? What will happen to the highway along the Beirut River?